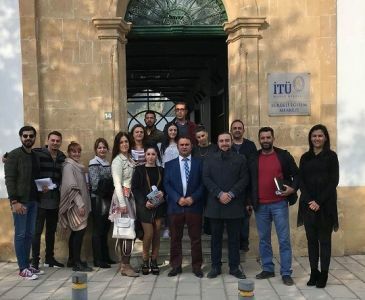 As part of an in-service training agreement signed by ITU-TRNC Education-Research Campuses and The Cyprus Turkish Electricity Institution (KIB-TEK) on January 26th, 2018, the “Professional English Course” has been completed. 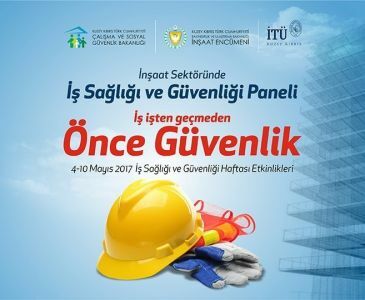 Sixty-one of KIB-TEK’s personnel have received training certificates approved by the National Education and Culture Ministry of TRNC and ITU North Cyprus’s Continuing Education Center on September 26th, 2018 Wednesday at ITU North Cyprus Continuing Education Center. ITU-TRNC Education-Research Campuses Vice-Rector Prof. Dr. Serdar KUM, Secretary General Dursun KOÇ, ITU North Cyprus Continuing Education Center Director Mehmet Ülkü KURUKAFA, KIB-TEK Executive Board Chairman Ahmet HÜDAOĞLU, Executive Board Member Yusuf AVCIOĞLU, Vice Manager Göker BAŞOĞLU, Vice Manager Kulderen CANSEVEN, EL-SEN Director Kubilay ÖZKIRAÇ, trainers and trainees attended the ceremony. ITU-TRNC Education-Research Campuses Vice-Rector Prof. Dr. Serdar KUM presented plaques to KIB-TEK Executive Board Chairman Ahmet HÜDAOĞLU and KIB-TEK Education Coordinator Gizem VOLKAN during the cocktail held after the ceremony. 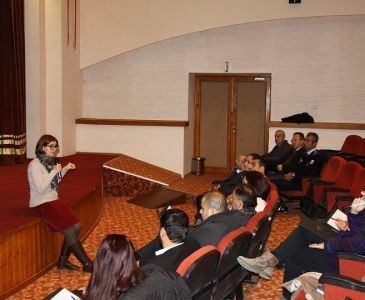 Professional English Education which was organized between January – July 2018 was held at ITU North Cyprus Continuing Education Center Building and Famagusta Campus School of Foreign Languages classrooms.